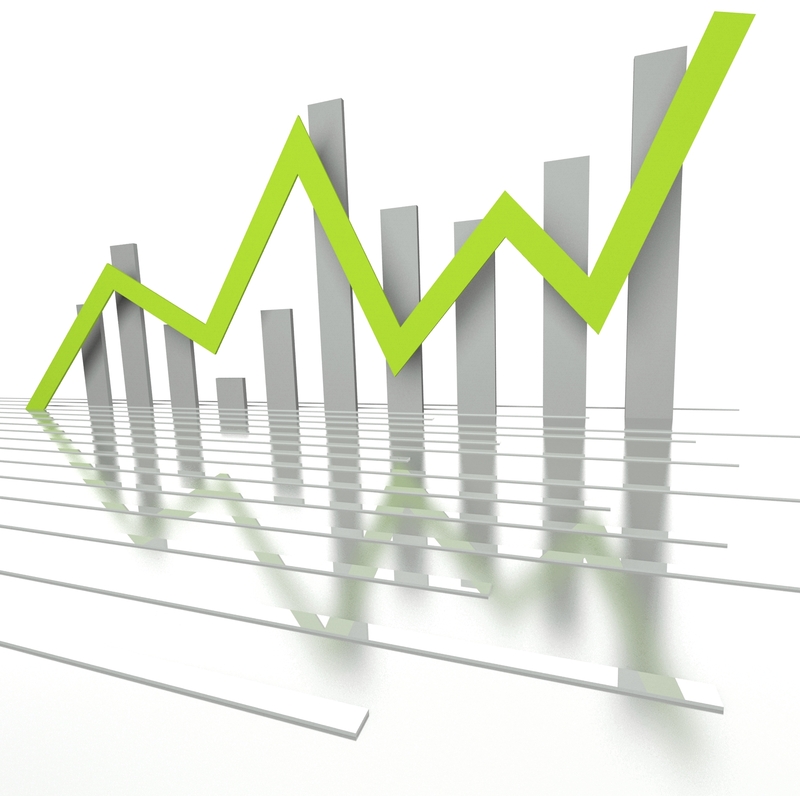 Here at CLS, one of our portfolio themes as of late has been high quality. But what does high quality actually mean and how is it measured? There are many ways to look at quality, but two popular methods are the Merton Model and the Piotroski F-Score Model. These two, widely used screeners, are used just as much to weed out poor equity choices as they are to help the selection of a portfolio. For this reason, these methods can also be used as long-short models. This model was created by scholar Robert C. Merton in the 1970’s and is still used today to identify balance sheet weakness. It looks at a combination of a corporation’s leverage as well as asset price volatility, weeding out companies with high levels of debt, and asset price instability. Another way to say this is that the Merton Model is measuring the distance until default, by identifying stocks that are all risk and no reward. Using this screener on domestic stocks as of Friday October 1, 2013 there were 98 stocks that scored greater than five, meaning they are considered to have balance sheet strength. The Piotroski F-Score Model was named after Professor Joseph Piotroski and is a series of nine tests based on profitability, leverage, liquidity, and operating efficiency. For each test that a stock passes, it will be assigned a score of one. Stocks that have been put through these tests are considered high quality if they reach a score of eight or nine, and should be avoided if they receive zero to two points. Again using this screening model as of Friday October 11, there were 74 domestic equities that qualified as high quality with a score of eight or nine. The nine tests that this model puts equities through can be seen below. As a way to double check these screeners, they can be looked at together. This ensures that an equity doesn’t pass the Piotroski Model with a high score, but fail the Merton Model due to excessive corporate debt, or vice versa. By looking at domestic stocks that passed the Merton Model criteria, as well as scored an eight or nine on the Piotroski Model, I came up with 20 equities that would be considered high quality by both. At the end of the day, what really matters is performance. 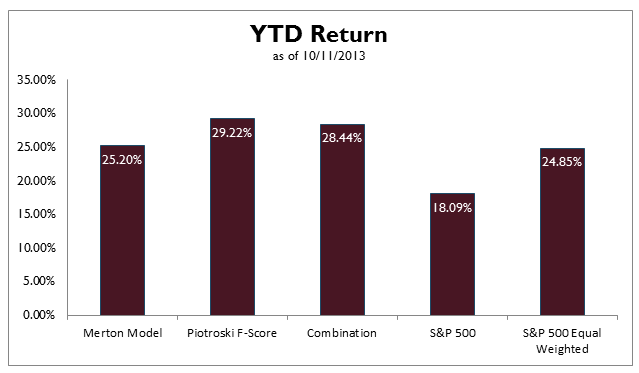 Just how well did these models work when compared to the knockout year the S&P 500 has delivered? As it turns out, they have performed very well. Looking at the chart below, we can see that year-to-date each of these models has outperformed the S&P 500, as well as the more robust S&P 500 Equal Weighted index by as much as 11 basis points. This just goes to show that higher risk doesn’t always mean higher return and our theme of high quality has been paying off.